This book is for anyone who wants to analyze data over time and/or frequency. A statistical background is necessary to quickly learn the analysis methods. Time Series Analysis allows us to analyze data which is generated over a period of time and has sequential interdependencies between the observations. This book describes special mathematical tricks and techniques which are geared towards exploring the internal structures of time series data and generating powerful descriptive and predictive insights. 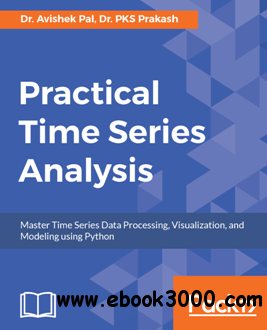 Also, the book is full of real-life examples of time series and their analyses using cutting-edge solutions developed in Python. The book starts with descriptive analysis to create insightful visualizations of internal structures such as trend, seasonality and autocorrelation. Next, the statistical methods of dealing with autocorrelation and non-stationary time series are described. This is followed by exponential smoothing to produce meaningful insights from noisy time series data. At this point, we shift focus towards predictive analysis and introduce autoregressive models such as ARMA and ARIMA for time series forecasting. Later, powerful deep learning methods are presented, to develop accurate forecasting models for complex time series, and under the availability of little domain knowledge. All the topics are illustrated with real-life problem scenarios and their solutions by best-practice implementations in Python.